The presence of a media library on the territory, allows equal opportunities for access to information. Everyone can make use of the institution. The loan bank provides reception, takes care of the registration, the loan and return of documents (books, audio / video supports), management of binders and requests for information. The periodical space offers our users access to multiple titles of periodicals, covering different fields. You will also find thematic press kits, mainly on Saint-Martin. The youth section offers novels, tales, albums, documentaries to 3 at 12 years. It has an entertainment area where shows, stories and workshops are offered. The audio / video space gives those who wish it the possibility to individually view a movie or listen to music from boxes provided for this purpose, or projections for groups (classes, associations, etc ...). But, the loan of films and cd remains possible provided you have a subscription. Area dedicated to people with disabilities is under construction. However, it is possible to consult or borrow novels and documentaries in large print. Braille books and audio books are also available, along with reading and listening materials. There is also a computer station with a suitable keyboard. The multimedia space allows all the public to do the documentary research, the formatting of documents and tables. It is also possible to carry out administrative procedures, as well as its score (Pôle emploi, CAF, etc.). Future students have the opportunity to visit Admission Post Bac, complete their student social file (EHR), search for accommodation, etc. The territorial media library offers readers a documentary collection consisting of novels, detective novels, comic strips, biographies, documentaries mainly in French. (The documents reserved for "Teenagers", the 13-18 years are also in adult section). In this space you will find different encyclopedias and dictionaries in French and English. 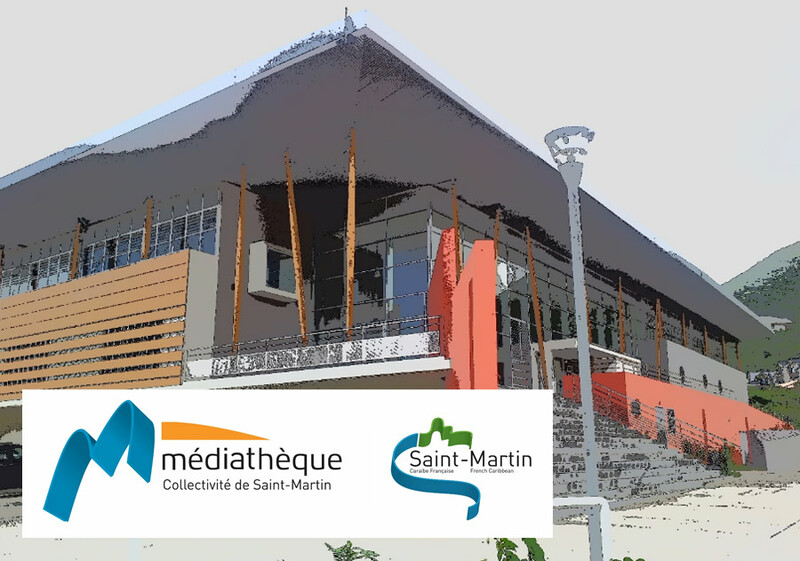 Also, the entire documentary collection on Saint-Martin is available on request. This denier can be consulted only on site. The work room adjoins the reference space. A favorite place for students, it allows individual or group work. It is also possible to review and prepare presentations.